What is Muti talking about? I suppose he’s applying the criterion of perfection. Perfect intonation, perfect ensemble. What kind of criterion is that? Thanks to the exceptional WWFM The Classical Network, I’ve been able to respond to this parochial claim at three hours length, in colloquy with Bill McGlaughlin. You can hear the resulting rant here and here. Bill and I auditioned fabulous concert and studio recordings by Leopold Stokowski and the Philadelphia Orchestra, Serge Koussevitzky and the Boston Symphony, Dmitri Mitropoulos and the Minneapolis Symphony, Arturo Toscanini and the New York Philharmonic, Artur Bodanzky and the Metropolitan Opera Orchestra, and Evgeny Mravinsky and the Leningrad Philharmonic. Three things bear mentioning about these historic pairings. The first is that – to a degree unknown today – the conductors stayed put. There were no airplanes. The music director was the music director. The second thing that leaps to mind – and to the attentive ear – is that each of these conductors honed a distinctive sonic imprint. No one could possibly mistake a Stokowski orchestra for a Mitropoulos orchestra. Thirdly, each of these conductors pursued a distinctive mission allied with repertoire. Except in the cases of Bodanzky and Toscanini, the espoused repertoire was fresh. The larger premise of this three-hour harangue is that nothing like the bristling sense of occasion once registered by Koussevitzky and Mitropoulos – or by Bodanzky’s powderkeg of a pit orchestra, so much more distinctive than the generic Met Opera orchestra of today – can any longer be assured. The concert experience needs to be refreshed and rethought. That’s the premise of PostClassical Ensemble, the DC-based chamber orchestra I co-founded with Angel Gil-Ordonez 14 years ago. 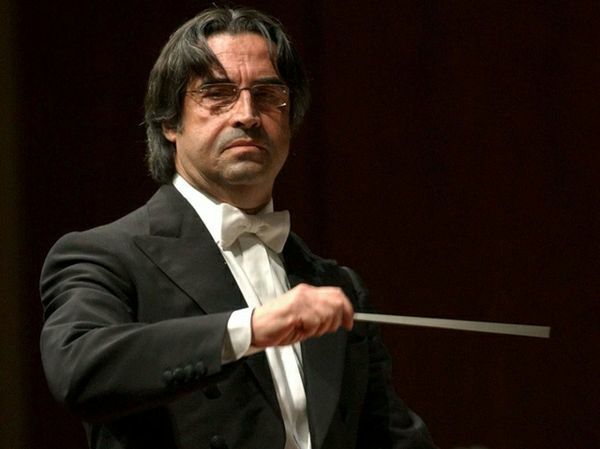 Muti says orchestras everywhere, especially since the 70’s and 80s, but you only list examples of American orchestras. Muti is right. In Italy, during the 70s and 80s, the orchestras weren’t just poor, they were a disaster. This was documented in Fellini’s 1978 film Prova d’orchestra which reveals problems that drove Muti from Italy even just a few years ago. The recordings from the era also show that the orchestras in other parts of Europe, outside of a few of the most famous, were also often weak. And at least from a technical perspective, orchestras like the Berlin and Vienna Phils have never had more technical accomplishment. There are many factors that account for this, perhaps the most important being increased international educational exchanges and the wider ease of access to recordings. I guess what strikes me most is our obliviousness to the rest of the world, the American tendency to think that America means “everywhere.” And I know that observation could keep my post from being published, but what the hell. That’s why I say: Never judge till you have All the facts! But when you say America you must include all of it South and North unless you mean the USA. Looking at things in isolation leads to wrong conclusions. If a resident conductor is responsible for choosing the players and has a talent for finding good ones then provided they all, including the conductor, have the talent for interpretation it may become a superb orchestra. Neither an individual player nor a conductor alone can create this. But we must perhaps consider the fact often observe by those with a certain amount of acuity of perception that there is something that even Socrates did not realize. Proximity with one person or group who have for a long time delved into and grappled with the difficulties of becoming a musician appears to cause a magnification of latent abilities and the group becomes excellent. Muti is correct. There’s no denying that the big orchestras in the US like Chicago, New York, Cleveland, Boston, Philadelphia have played like demons for a century, but too often overlooked are smaller orchestras. I have heard Mahler played by Tucson Symphony that is beyond criticism. 50 years ago this would not have happened. The quality of music performance graduates nowadays is so great that orchestras in places no New York critic would ever appear put on excellent concerts regularly. Today’s orchestras in Grand Rapids, Portland, and Oklahoma City play better than the New York Philharmonic of Vienna Philharmonic of 100 years ago. What is lacking today are three other important ingredients: conductors, composers, and audiences. It’s a criterion that most of us really, really miss when it’s not there. Orchestras of today REALLY ARE better than 60 years ago. It’s the conductors who no longer have a distinctive sound within them that they can project to the players, and from the players to the audience. Was the incredible fire of the NBC Symphony just the players, or Toscanini inspiring them? As for Mitropoulos’s Mahler First from Minneapolis, _is_ it superior to the Walter/NY Philharmonic recording for Columbia from the mono days of the early 1950s? No, it’s not. Simply listen to the Philadelphia under Stokowski, then Ormandy — the former, conducting at fevered pitch and the orchestra performs miracles, after which Ormandy, conducting the same players, leads with less fire, refinement and control, even though his performances are more orthodox. By and large, Muti is right. Just listen to the gleaming, polished-chrome perfection of the NY Philharmonic these days.